Whether in hospital, in economic consulting or in the design of learning environments, the people involved must constantly make decisions that have a considerable impact on the individual, institutional or social level of interaction. The concept of "evidence based practice" builds upon the notion that important decisions should not be made exclusively on the basis of personal experience and subjective assessments or needs. The best scientific evidence currently available should be considered. While the field of medicine has already been using this approach for around 15 years – where it has also come under criticism – other fields such as educational sciences and economics are only now beginning to discover the potential of this concept. 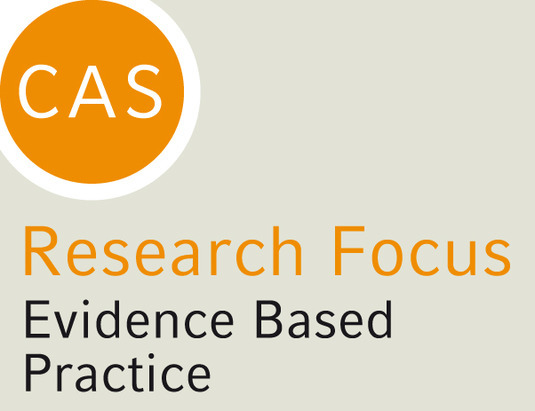 It is against this background that the CAS Research Focus "Evidence Based Practice" has arisen. Running from the winter semester 2016/2017 until the summer semester 2018, the research focus brings together at its core several representatives of the three fields mentioned – medicine, educational science and economics. An extended advisory board will support the development, as well as renowned academic journalists, in order to shed light on the role of the communication of scientific evidence to the wider public sphere and to decision makers. Prof. Steven D. Levitt, Ph.D.
Prof. Dietram A. Scheufele, Ph.D.
Internal Workshop – "Evidenzbasierte Praxis in Medizin, Wirtschaft und Bildung"
Mini-Symposium – "Scientific and Clinical Reasoning"
Lecture Series in the Winter Semester 2017/18 – "What's the Evidence? – Bridging Science to Practice"
Lecture by Prof. Dr. Dietram Scheufele – "Human Genome Editing: Who Gets to Decide?" Lecture by Prof. Steven D. Levitt, Ph.D. – "The Economic Approach to Learning from Data"
International Workshop – "Evidence Based Policy Advice: How it is Produced and Used"
Workshop with Panel Discussion – "Wissenschaft vermitteln. Ein Workshop für Postdoktoranden"
Panel Discussion – "Mehr als Fakten. Wie Politikberatung funktionieren kann"